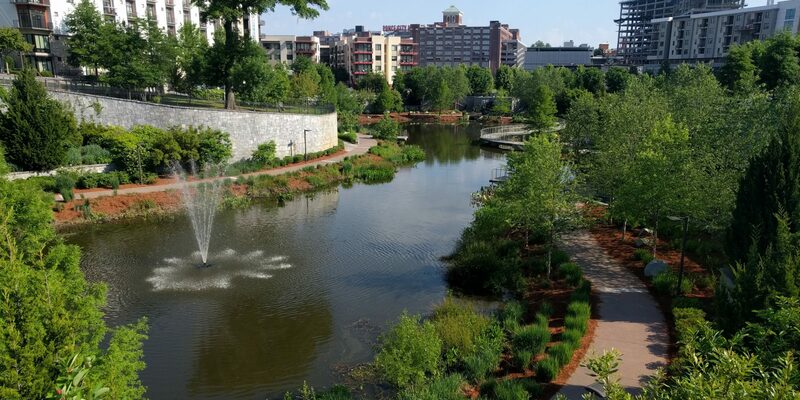 The Historic Fourth Ward Park Conservancy is a 501(c)(3) organization ((Tax ID# 26-2919272) and relies on the generosity of individual members, corporate and private donors. Your donation is tax deductible to the extent permitted by law. The Conservancy continues to advance connectivity between the park, the Old Fourth Ward neighborhood, new development and the Atlanta BeltLine. Your support is crucial at this time in order to add vital park amenities, security and maintenance.